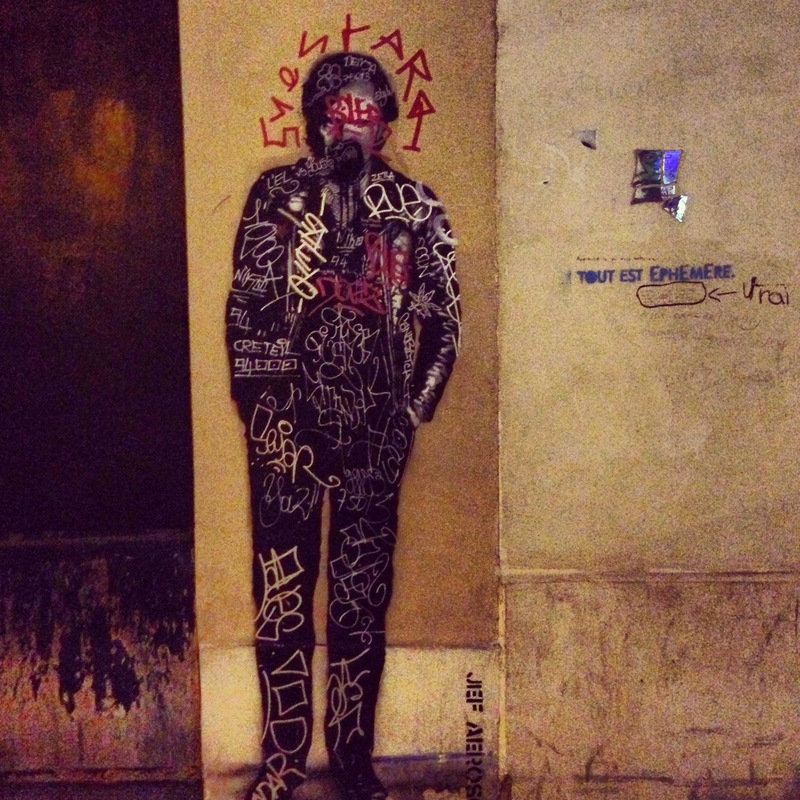 Street Art @ Butte Aux Cailles | the (fake) parisienne. What struck me about this beautiful work of art was its roughness. And what felt like an evolution of form in some sorts. You can almost imagine the silhouette of this stern, moustached man standing lonesome against this wall until gradually, over time, thanks to some rebels, his plain black attire was covered with one doodle after another… a starfish or bee at his armpit, a red halo around his head, a strategically placed red graffiti where his heart should be. A man changed by time.